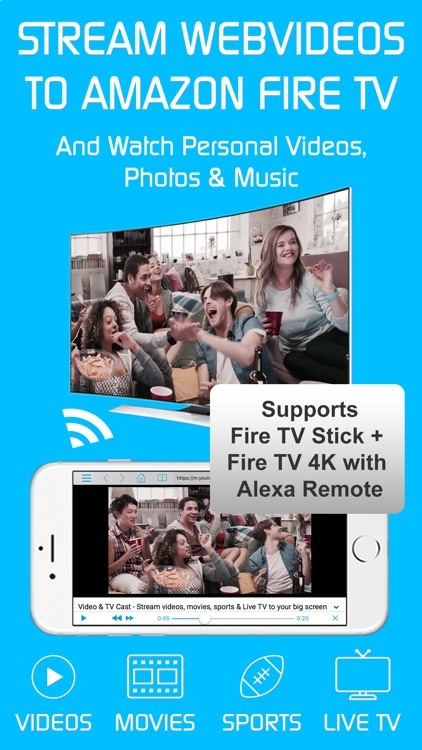 Watch webvideos, online movies, live tv streams and your personal photos, videos & music on your Amazon Fire TV. Enjoy the show on your big screen. With Video & TV Cast you can browse through the web and stream any video you want on your Amazon Fire TV (movies, tv shows, sports, music and more). 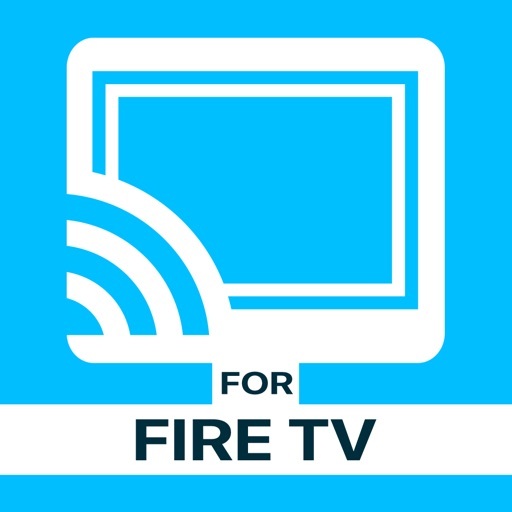 Just navigate to your favorite website and send the embedded video with a single tap to your Amazon Fire TV. The discovered video will be shown below the browser. 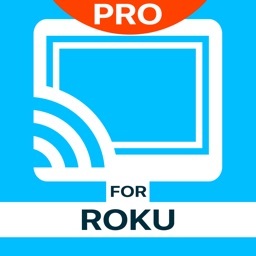 A tap on the video link will send it to your Amazon Fire TV immediately. Streaming personal media from your device is also supported. * The app only works with a Amazon Fire TV or Fire TV Stick. * iTunes movies, Flash video and DRM protected videos like Amazon Prime, Netflix, Hulu, Vudu, DirecTV, Xfinity, HBO now are not supported! * Please test your favorite videos with the free edition before upgrading! * The app streams only the video part of a website and not the whole website content (No screen or tab mirroring!). * Sometimes it is necessary to play the video on your iPad or iPhone first before it gets discovered by the app for streaming. 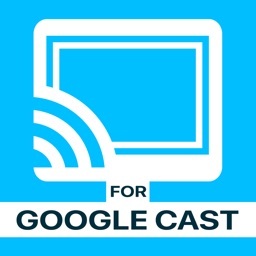 It may also be neccessary to start casting multiple times until it works with specific videos. * If a video is not working at all, please check the FAQ on the app startpage. If that does not help you, please drop us an email before leaving a negative comment on the App Store. We will try to add support for that website as soon as possible. * Premium Edition: Unlocks all of the features listed here. Also future features are included, so you do not have to pay for them when they are released in an updated app version. * Remote Playbar: A remote control that allows you to fast forward or rewind videos while browsing. 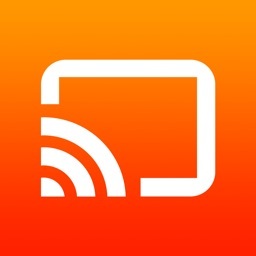 It syncs across all your iPads & iPhones that are connected to the same Fire TV. So your video can be controlled by different users in the same room. * Personal Media: Cast unlimited personal photos, videos and music directly from your device or from cloud services like iCloud and Dropbox. 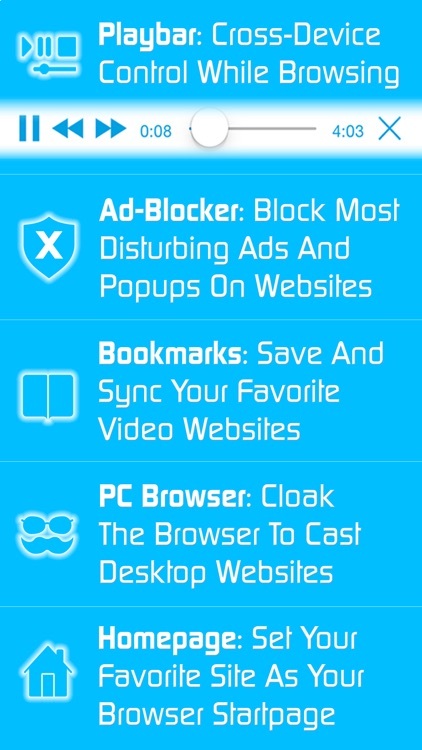 * Ad-Blocker: Blocks ads & popups on most websites and removes the sponsoring ads from the app. You can update and enable/disable ad-blocking at any time in the settings. * Bookmarks: Save unlimited website bookmarks. Synchronize and transfer them between different TV Cast apps and iOS devices by using backup and restore via iCloud. 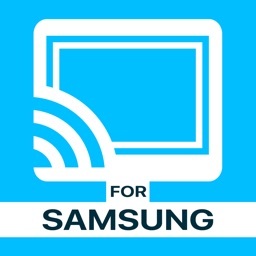 * Desktop Mode: Change the browser user-agent and cloak your iPhone/iPad as a desktop PC to load the desktop website instead of a mobile website. Please note that this will NOT enable video casting on websites that serve Flash videos in desktop mode. * Change Homepage: Set your personal homepage in the settings. Countless websites have been reported to us and we already support more than 90% of all videos on the internet. But still we know that things can get even better. Your feedback and priorities will drive our work ahead, and you’ll see new features and more supported websites in our next app updates. Disclaimer: This app is not affiliated with Amazon or any other trademark mentioned here.